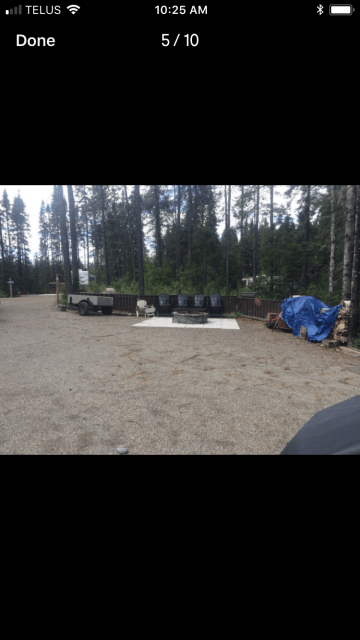 Situated on spacious lot – 45 Blueberry Hill. 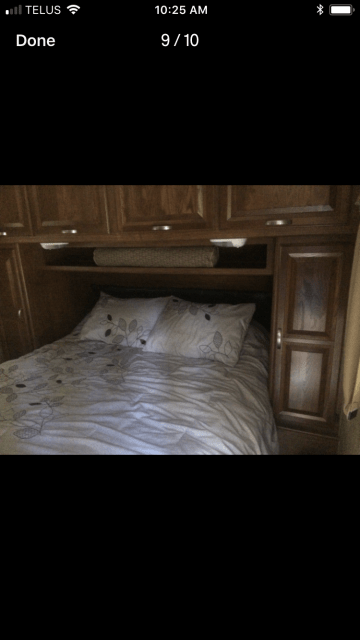 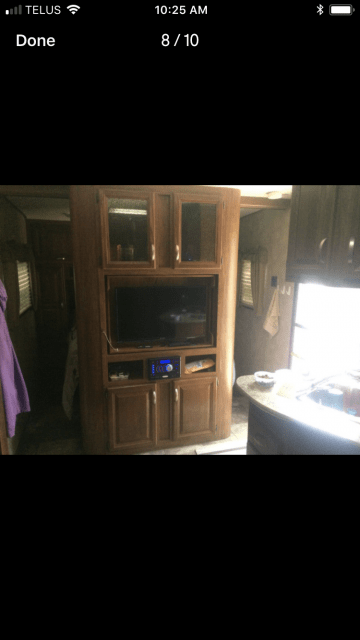 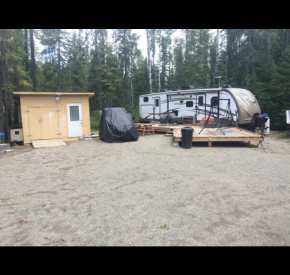 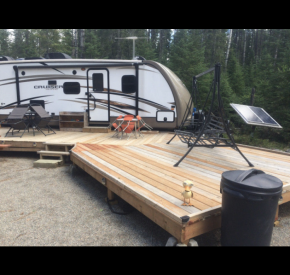 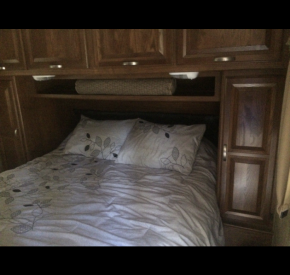 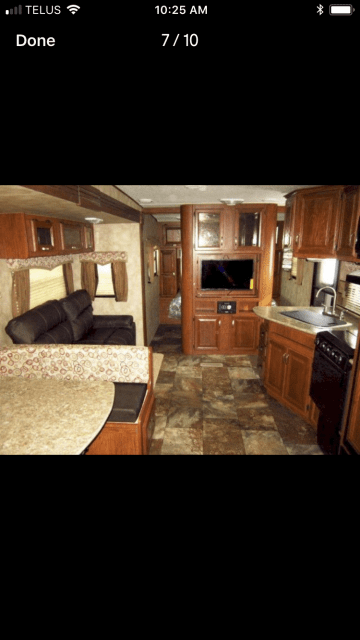 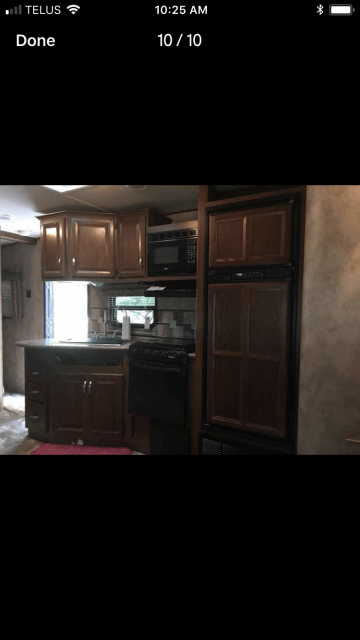 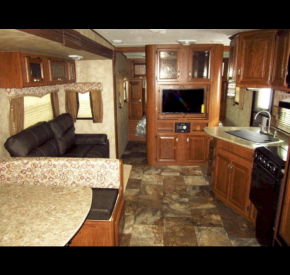 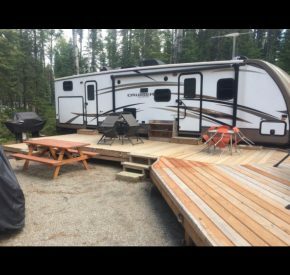 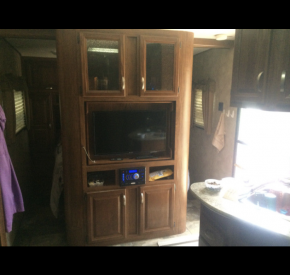 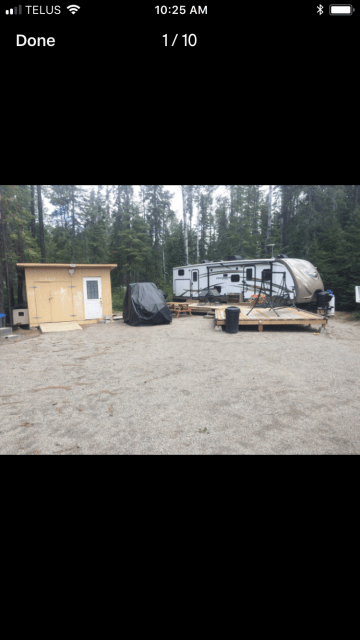 Trailers offers comfortable sleeping for 10 including bunks in the back and a queen at the front.Has air conditioning and forced air heating throughout the unit. 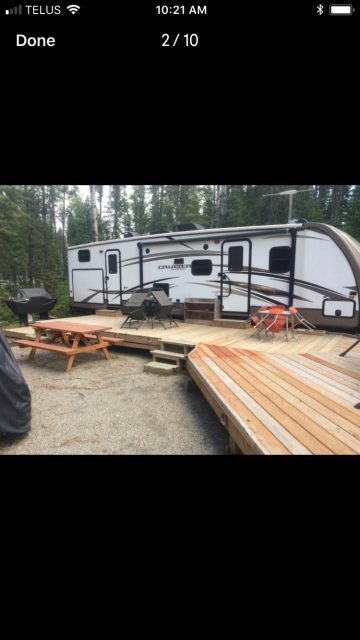 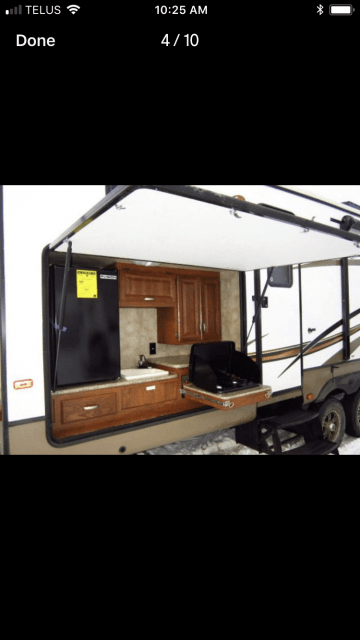 Has 2 large slide outs and awning. 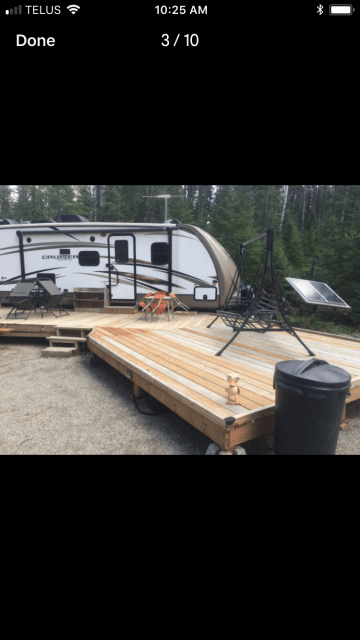 A great outdoor kitchen. 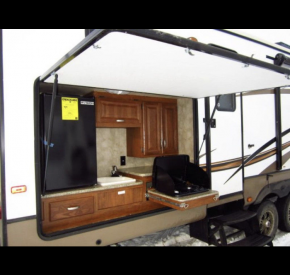 A dual entry with one being a separate entrance from the outside to the bathroom. 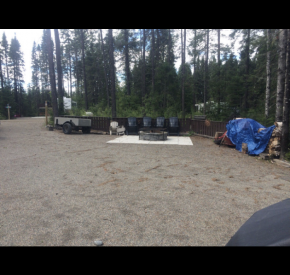 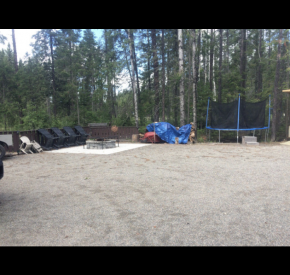 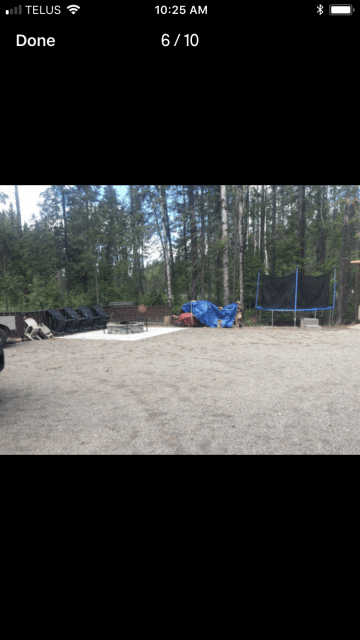 This lot will come with a 10×12 shed, a large 10×32 deck with an added 12×12 section at the front for a gazebo, a round stone fire pit purchased from Mascioli’s, a quiet 3000 watt inverter generator, a 250 gallon water tote, 2×100 watt solar panels, a portable blue boy waste tank, dishes, outside chairs, a trampoline for the kids and a small utility trailer for a 4-wheeler. 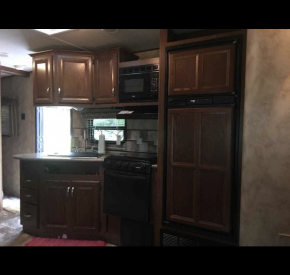 For more information, call or text 705-266-3428. Big Water Campgrounds is a proud, involved partner of Camping in Ontario.